Over 30 applications in all classes are recorded for the competition “Kardzhali 4x4”. In class “Trophy Expert” first application came from Greece and it is of Marios Laskos with Suzuki Jimmi. Well known organizer of „Thessaloniki Adventure Trophy” Christos Voyadzis will participate in class “Trophy Hobby” with his Land Rover. In class MOTO leader is Stoyan Pacharozov, followed by “Tuflek Racing”. 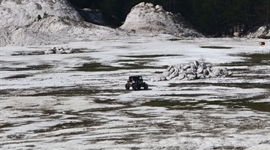 In the ATV class first was Miroslav Dochkov, and with this he left behind even Krasimir Kolevfrom Gabrovo. 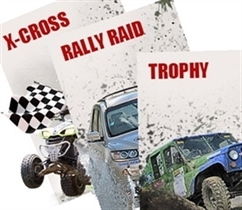 In class “Rally Raid” Orlin Alexiev – participant from “Rally Dakar”will attack title in the National Championship. Together with Plamen Nikolov they will test the machine, after the heavy damages during “Dakar 2014”. You can expect very interesting moments and attractive competition in all classes.